Written with expected clarity, we have here an overview of the relationship between science and Christianity and how well they fit together; but more than that, this little book is also a window into what it is for a fine mind to live in relationship with God. Of course the answer to the question is ‘no!’ but this fresh look will engage the most ardent of protagonists. Professor Lennox brings the logic of the mathematician to show that science and religion do not belong to a war zone as some would have us believe. His highly accessible account is interlaced with colourful humour and personal experiences that relate to the excitement of rational, sensible and wholesome insights from the best attested manuscripts of the ancient world. Myths are dispatched; miracles, evil and suffering are confronted; the Standard Model of physics, the Big Bang and the open Universe are richly explored, and much more. Finally, case studies tell what can happen upon entering the laboratory where truths are tested, but beware, particularly if you are coming from some sceptical distance, it’s a book that could make a difference in worldviews and even lives. You don't have to be either a scientist or a christian to value this book. 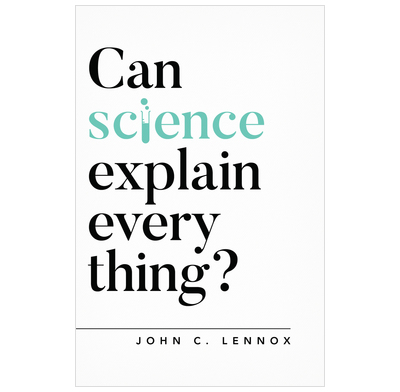 John Lennox writes with a simplicity that allows the non-scientist to follow but takes you into the presence and thoughts of some of the science greats as he writes persuasively to defend God's place in the scientific world. An important introduction for anyone wrestling with the issues of science and faith.